Having jump-started my career as a conservation biologist riding the 1980s explosion of scientific and public interest in biodiversity, I have progressively witnessed how biophilia has given way to climate change concerns with the public, decision makers, scientists, and philanthropists (who have increasingly moved funding out of biodiversity and into climate change). In the meantime, we have lost sight of why biodiversity is critical to solving climate chaos. In fact, our biodiversity roots are indeed needed to solve climate chaos as the natural world holds the keys for reaching both a safe climate and living planet. After all, the planet’s life-giving atmosphere is a byproduct of billions of years of atmospheric and biological forces in synch with one another and balanced by life on earth. We are poised to change that balance through unprecedented human-caused extinctions interacting with greenhouse gas pollutants, both byproducts of runaway population growth and unsustainable consumption levels. Simply put, the path we are on today – some call it the “Great Acceleration” – or “Anthropocene” (Age of Humanity) – is triggering the sixth great extinction spasm (aka E.O. Wilson) through unprecedented species losses and a build up of heat-trapping gasses. The path ahead must recognize that we need nature to survive and overcome these dangerous times, lest we live in a world where wild things are pushed to the brink and climate disruptions worsen loses to both nature and people. Here are my top 10 reasons for why reinvigorating biodiversity conservation is critical to both a stable climate and a living planet. 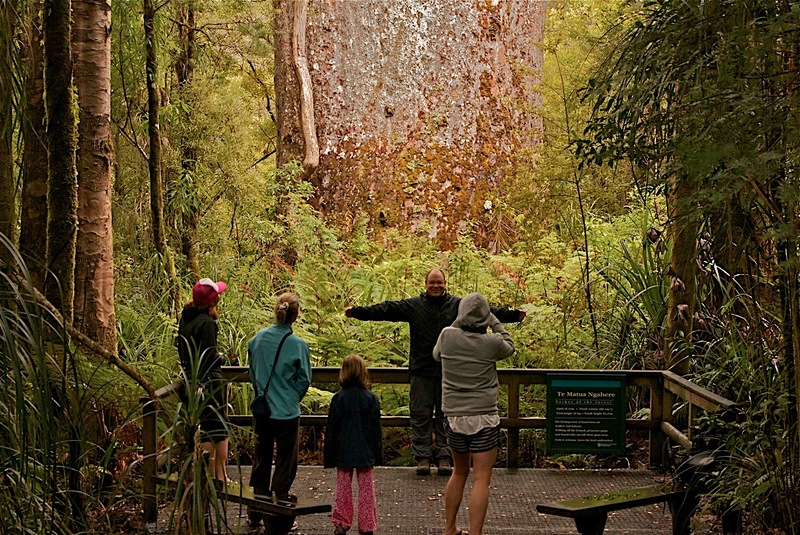 Massive trees like New Zealand’s Kauri (Agathis australis) not only support unique temperate rainforest communities but are vital in the effort to find a solution to global warming. Bio-diverse temperate rainforests globally absorb the equivalent of over 60 times the world’s annual greenhouse gas pollutants. Areas of high ecological integrity (generally intact systems) with full complement of species and processes (biodiverse) are more resilient (capable of rebounding from disturbance) and resistant (capable of withstanding disturbance) to climate change and human disturbances. High levels of biodiversity are associated with productive ecosystem services, including pollination (in major decline in agriculturally simplified systems), carbon sequestration and long-term storage (highest in old-growth biodiverse forests), nutrient cycling, soil formation, predator-prey dynamics (complex food webs), and provisioning services such as clean air and water, food, timber, and fiber. All of these services are at risk in a changing climate and from their exploitation. High levels of biodiversity tend to be associated with human-well being (quality of life) and human health, which are at risk from increased air pollution, reduced quality and quantity of clean water, respiratory ailments, and natural disasters exacerbated by climate change. Natural systems and their inherent biodiversity can ameliorate at least some of these ailments as nearly 1 of every 4 medicines was originally synthesized from the world’s tropical rainforests that we also desperately need for a stable climate. A diverse coastal environment with intact and functional wetlands is best at absorbing increasing storm surges and sea-level rise caused by global warming. A diverse streamside channel with fully functional and intact riparian areas and wetlands are more capable of ameliorating flood damages and storing water especially if keystone species such as beaver are present. Biodiversity is a kind of climate change insurance – we humans know very little about how natural systems work and how tipping points can trigger cascading ecological effects. Examples from marine fisheries abound where entire systems have collapsed due to over-fishing of a few commercially valuable fish that limit options for climate change adaptation. There is magic in wild places; climate change removes that magic as a product of an ever-increasing human footprint – a dangerous feedback loop is being set up where biodiversity is hammered, resulting in diminished ecosystem services, concomitant impacts to humans that then put more pressure on those systems until they are extinguished. Numerous studies have linked poverty to decline in natural capital and this will only worsen as the poor feel climate impacts disproportionately. Diversity in nature allows for more adaptation options in the future –biodiverse prairies with their full complement of wildflowers, for instance, are more capable of rebounding after disturbance than mega-farms. Intact and connected landscapes are better able to provide refugia for climate-forced wildlife migrations than fragmented areas with low levels of diversity and artificial barriers to migration. High levels of genetic diversity allow for greater phenotypic plasticity (i.e., more adaptive responses) than low levels of genetic diversity. Similarly, genetically modified organisms may be maladaptive in a changing climate due to their simplified genetic structure. All species have a right to exist and are a product of eons of evolution at work (many believe a Creator is also at work). We should not have to choose between climate change or biodiversity nor justify biodiversity investments based mainly on anthropocentric views. 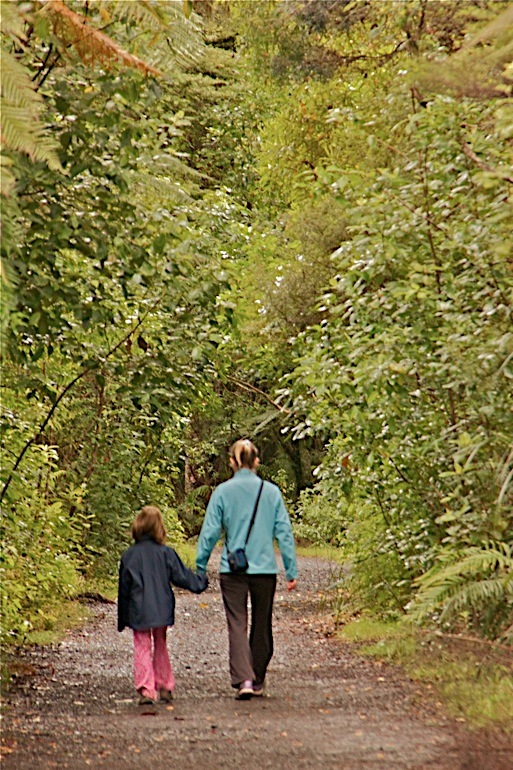 We owe it to our children to leave both a living planet and a safe climate: the two are woven together like strands in the great web of life and all the strands are important for their own sake as well as ours.